The Tegallalang Rice Terraces is a very popular tourist attraction in Bali because of its beautiful landscapes and spectacular views of the expansive rice paddies. 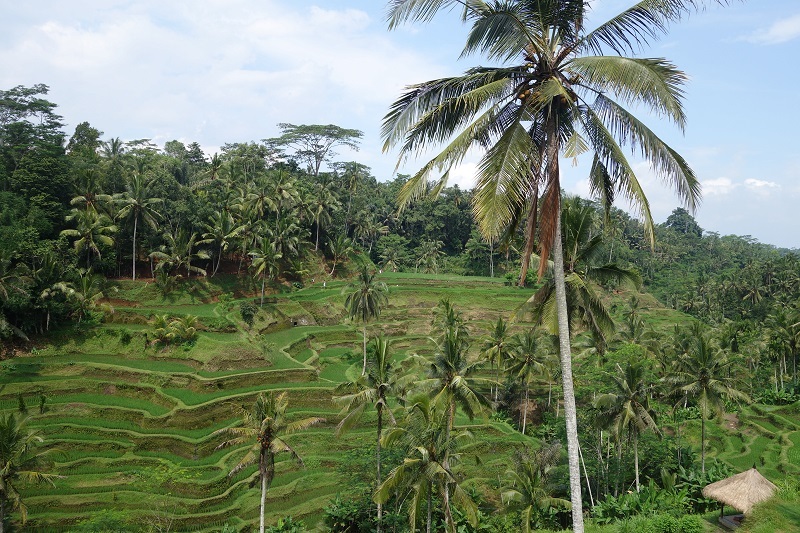 The rice terraces make use of a planting and irrigation system called Subak, a water management system wherein water from the rivers flow into canals, and then branches out on to the rice paddies. There is an abundance of cafés and restaurants at the edge of the terraces where visitors can enjoy their meal while admiring the wonderful vista. 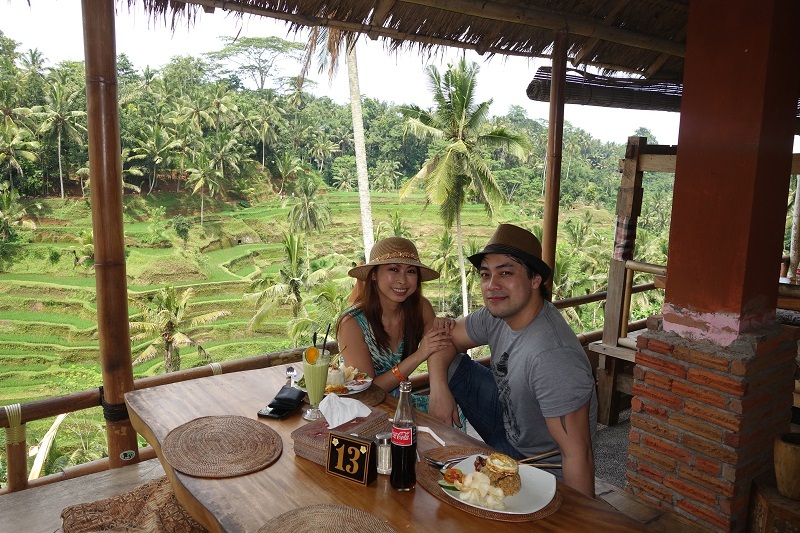 Mike and I were not that hungry yet when we arrived at the Tegallalang Rice Terraces since we had a heavy brunch at Sanur just a few hours before, but we figured we might as well have lunch while we were at the terraces in case we get hungry again later. 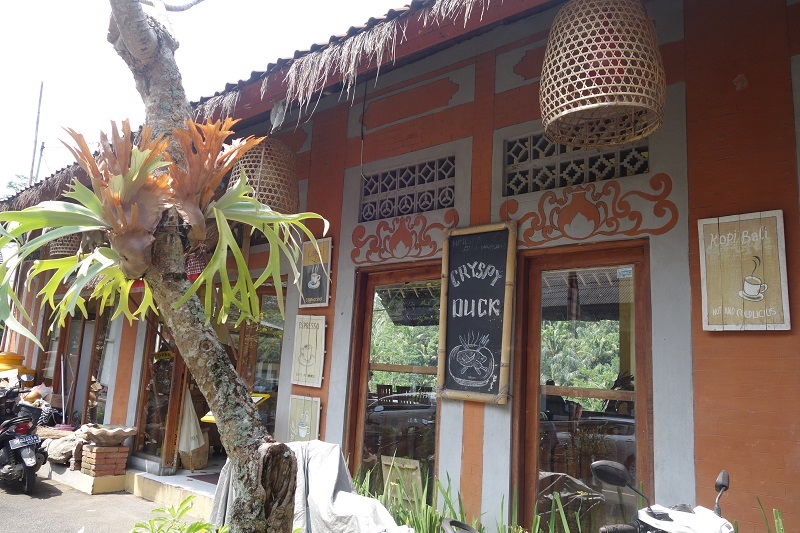 Out of the many restaurants near the terraces, we picked one called Lumbung Sari Warung. We really had no idea if the food there was good but we just picked it because: a) we were lazy and it was one of the first restaurants we saw, b) it looked clean and we saw a bunch of other tourists eating there (when in doubt, follow the tourists! ), and c) from the outside, it looked like it offered fantastic views. And did it! Pretending that I’m rich and that these rice fields are all mine. Haha! These terraces are fit to be on a postcard! Sorry for the oily face. You’ll see more of this in the succeeding blog posts. Ladies, ditch the foundation when going to Bali for the summer. Believe me, it’s going to melt faster than ice cream under the hot sun! 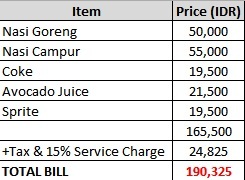 The warung has a 2nd and 3rd floor. The higher the floor, naturally, the better the view. This guy has the best spot… and a long table all to himself! Because the highest floor was full, we opted to stay at the 2nd floor, which was still quite nice. When dining at one of these restaurants, obviously, it’s best to secure a spot closest to the window. After all, aside from the food, you’re also there for the view. 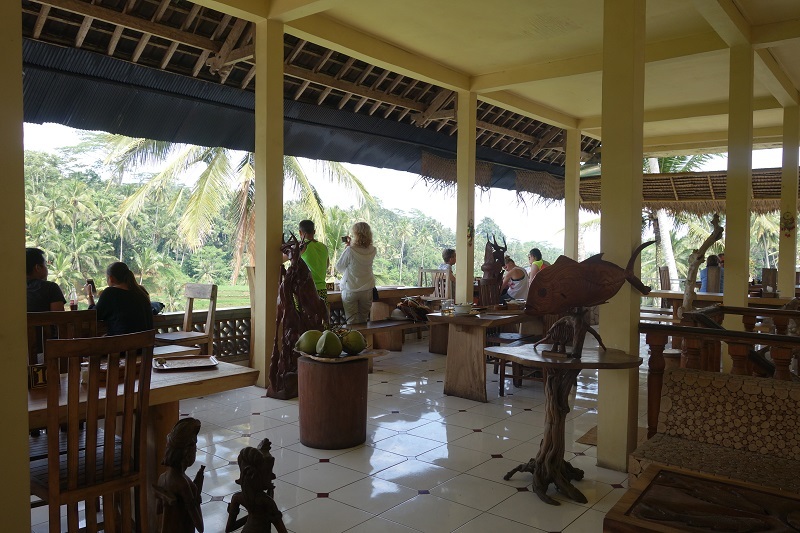 When we went to Lumbung Sari Warung, all the seats next to the window were occupied so we waited a bit until a table freed up. It wasn’t a very long wait (maybe around 5 minutes). We finally got the table we wanted, which had a lovely view and easier access to the natural breeze. From our spot, we could see all the other tourists walking up, down, and along the rice terraces. As you can see from our photo, we look super sweaty and shiny. 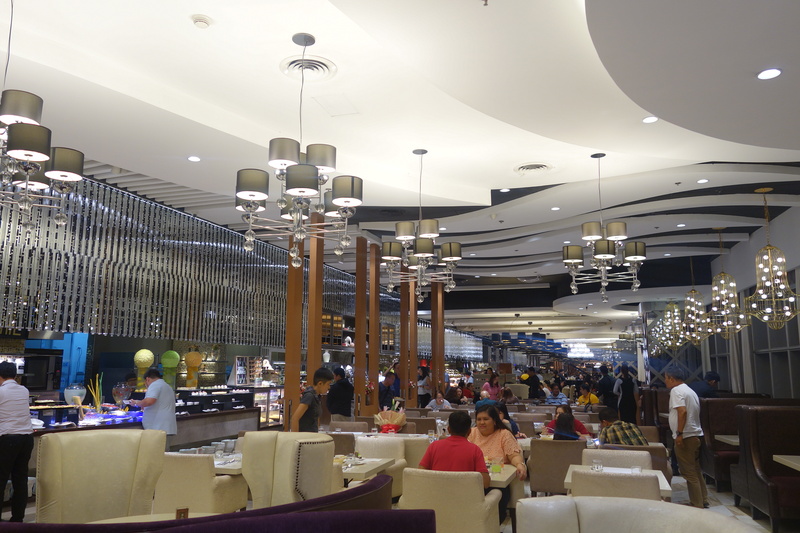 To manage your expectations, it was really hot when we visited Bali, and the restaurant is not air-conditioned so if you can’t handle the heat, maybe you can consider eating somewhere else. But where’s the fun in that? 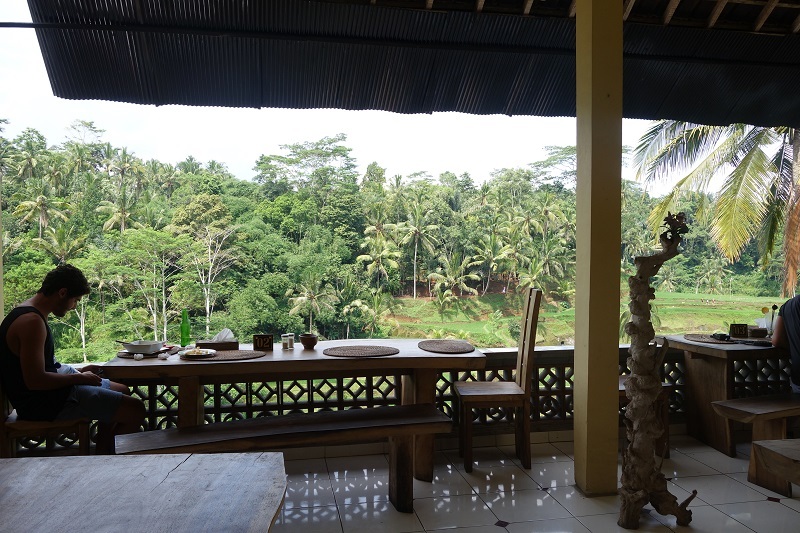 The whole point of eating next to the rice terraces is to fully experience it — views, scents, atmospheric conditions and all! So, sure, the view is great, but what about the food? I ordered the Nasi Campur, which is a dish of white rice surrounded by small portions of other dishes. 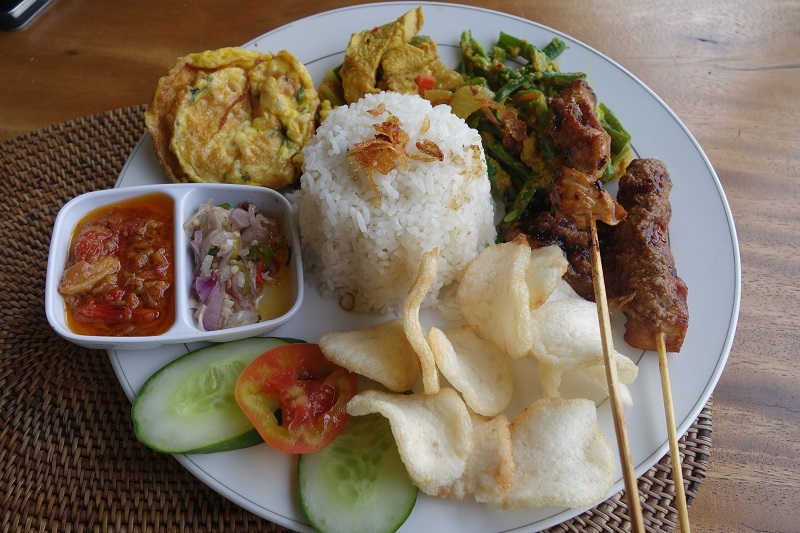 The dishes accompanying the rice varies depending on the restaurant, but the one at Lumbung Sari Warung had 2 sticks of chicken satay, an egg roll, chicken, vegetables, and shrimp krupuk (also known as “kropek” in Filipino). It also came with two kinds of sauces: the sambal tomat (Balinese spiced tomato sauce) and sambal matah (raw Balinese chili sauce), which happens to be my favorite sauce in Bali! I love it so much that I put it on anything! 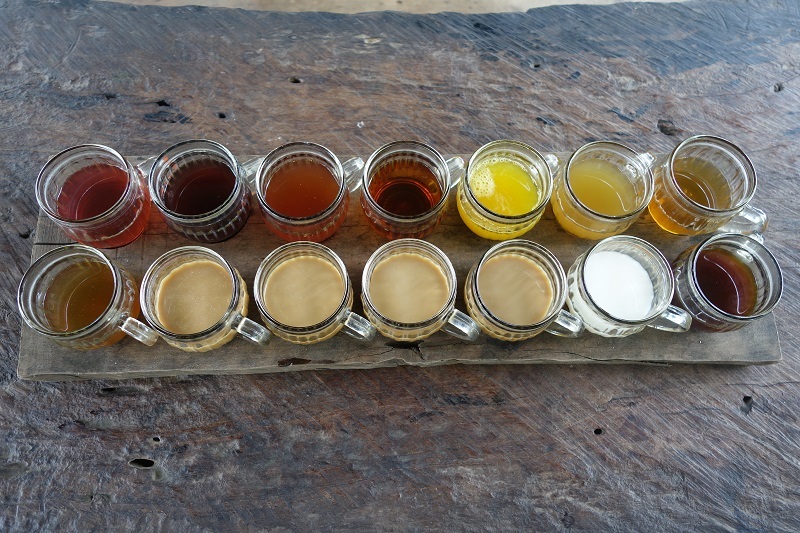 I liked Lumbung Sari Warung’s Nasi Campur. 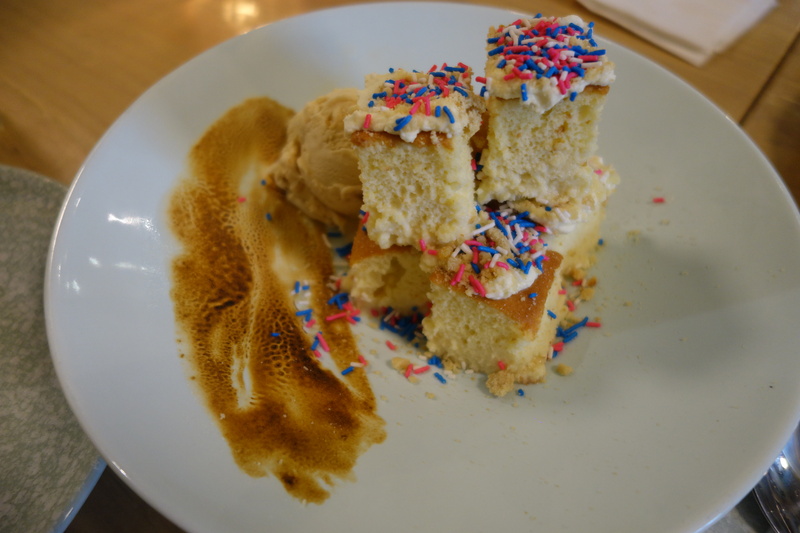 For IDR 55,000 (around PHP 193), the servings are pretty generous so I got full easily. All the side dishes were tasty. The meats were soft, the vegetables were crunchy, and the rice was nice — which should be because, hello, it’s right in front of the rice terraces! 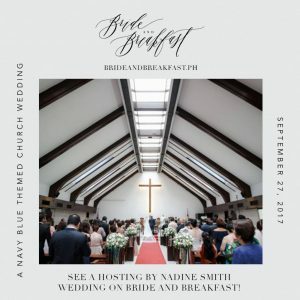 The service was also good. The food didn’t take that long to prepare and the waiter was very patient despite my requests for him to take our photos numerous times (the first few ones were dark). Speaking of photos, I didn’t get to take a photo of Mike’s order (Nasi Goreng) because he just wanted to eat in peace already! Haha! 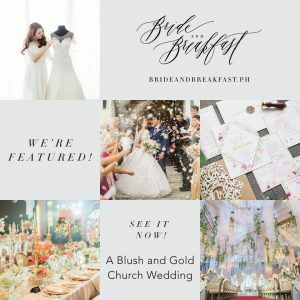 Overall, we were satisfied with the food, service, and ambiance! P.S. 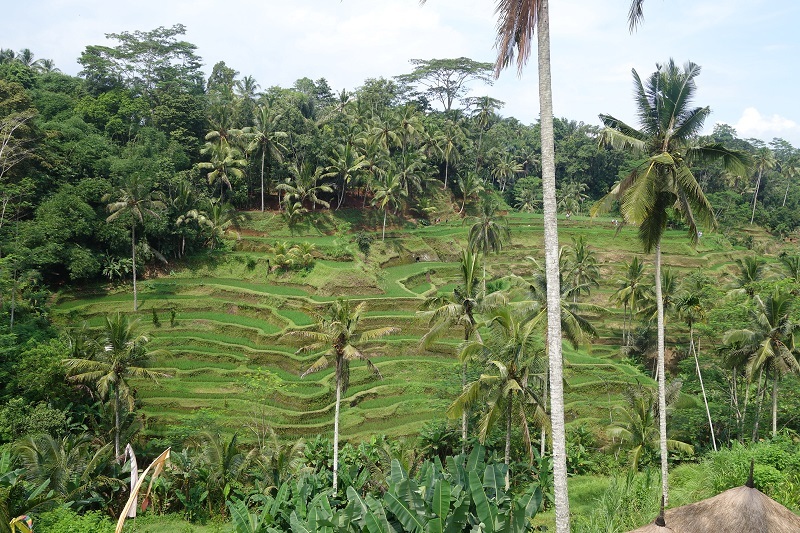 We did not bother going down the rice terraces anymore because we wanted to check in our hotel early and we had plans on going to the Jatiluwih Rice Terraces anyway. If you have time, though, I think the Tegallalang Rice Terraces are worth checking out for its good views and loads of photo opportunities. How to Get There: Rent a private car with driver / guide. I recommend Galih Bali Tour.